We finished up Leviticus and are now counting our way through Numbers. 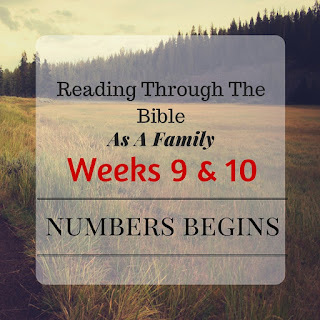 I will admit, before I did a study of the book of Numbers this past winter, it never even crossed my mind what the book was about. Seriously. I never considered there would be so much counting and number reading in a single book of the Bible. The first little bit of reading was fun for the kids to figure out what the numbers were. Three score = 60 by the way. Then we hit some spots where I just honestly hoped they wouldn't ask questions because I didn't know the best way to explain it. However, they still stopped me and asked questions... but it wasn't what I thought they were going to ask. I love it when the kids bring up entirely different perspectives than what I have considered. It helps me to see the Bible the way they see it or the way they think at this age. One interesting fact we read about in Numbers was that God even assigned particular families specified places to set up camp around the temple. God was very detailed with them. I can't help but feel God speaking to my spirit while I acknowledge this theme throughout most of our reading with the children of Israel. So many times I've told myself if God would just be more specific with His directions I would know what to do... or I'd feel better... or more confident about my decision, etc. But look at the children of Israel. They had so many miracles right before their eyes, and God giving them specific, detailed instructions, and they still couldn't keep it all together. Would we be any better? Would I be any better? Reading through the Bible as a family has truly been eye opening for me. As a mom, it brings joy to my heart to be able to share this with my children. I want them to have this firm foundation in God's Word so they will have a better understanding. But they are also blessing me! We all know that Leviticus and Numbers are not know for being the easiest reads in the Bible. Sometimes, as I read out loud, I'm not even really thinking about what is being read since it has a pattern of repeating itself, only changing the names. My mind tends to wonder... or I worry that the kids are losing interest and then... bam! One of them pops up with a thought provoking question! Plus, this allows my husband and I also to communicate our thoughts on the subject when many times, life gets busy, and we don't always share with each other what we've been reading. We are pressing on! 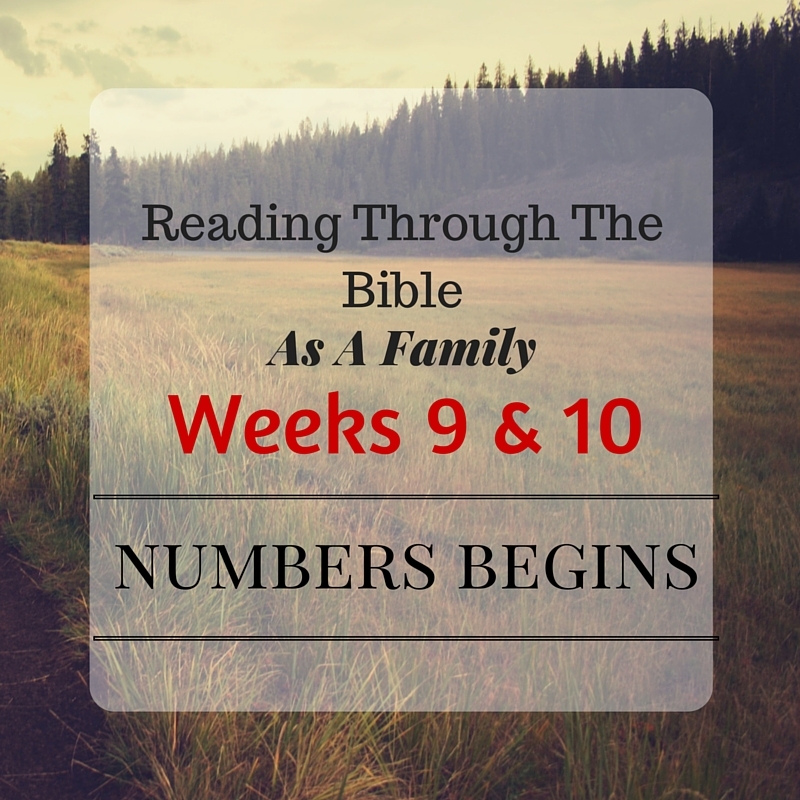 Please prayerfully consider adding reading through the Bible as part of your family's daily activities. I promise it will be life changing! If you decide to join it, please leave a comment below or on our Facebook Page!